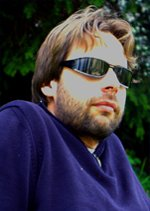 Marco Roveri, Alessandro Cimatti and Iman Narasamdya were awarder the EASST Best Paper Award for the paper "Boosting Lazy Abstraction for SystemC with Partial Order Reduction" at the TACAS 2011 conference. Marco Roveri, Jörg Brauer and Hendrik Tews will chair the 6th International Workshop on System Software Verification. The workshop will be held in conjunction with ITP 2011, Nijmegen, The Netherlands. 26-27 August, 2011. Three PhD positions are available in the Embedded System Unit for the 2011 accademic year. Marco Roveri and Stefan Kowalewski will chair the 15th Formal Methods in Safety Critical Systems (FMICS 2010) workshop. The workshop will be held in Antwerp, Belgium from 20-21 September 2010 in conjunction with ASE 2010. Post-Doc, PhD positions are available in the Embedded System Unit.